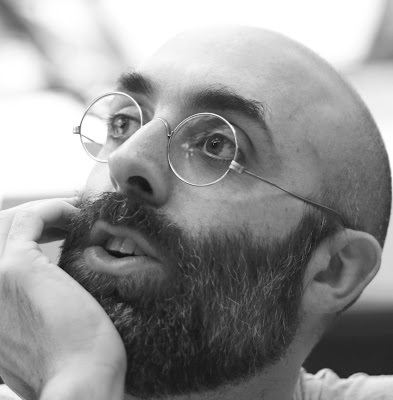 Eduardo Halfon is a recipient of a Guggenheim Fellowship, the Roger Caillois Prize, the José María de Perdez Prize for the Short Novel and was named one of the best Young Latin American writers by the Hay Fesitival of Bogotá. His book, The Polish Boxer, was a New York Times Editor’s Choice and a finalist for the International Latino Book Award, and his novel Monastery was longlisted for the Best Translated Book Award. He is the author of fourteen books published in Spanish and three in English. 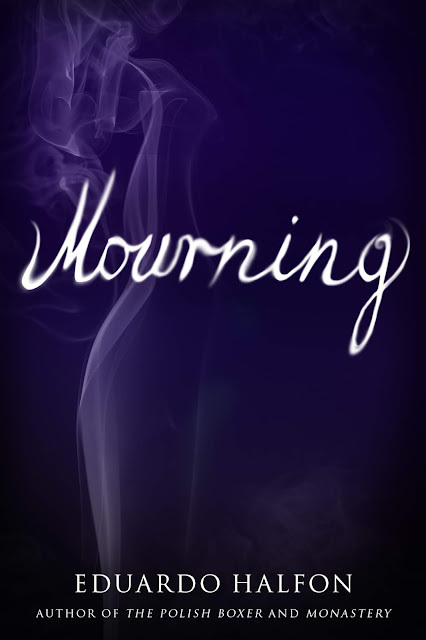 His newest novel is entitled, Mourning. A native of Guatemala, he moved to the United States at the age of ten, attended school in Florida, college in North Carolina and currently lives in Lincoln, Nebraska. Because of his unique talents and his bright future, Stay Thirsty Magazine was pleased to extend to Eduardo Halfon the opportunity to participate in our One Hundred Words project by responding to our topics in precisely one hundred words. EDUARDO HALFON: Every family has secrets tucked away in the closet, hoping nobody finds them there in the dark, in the past, praying that some distant nephew or grandson doesn’t decide to become a writer and start poking around. As with all of my books, Mourning started with a family secret about my father’s brother who drowned in a lake as a boy, and a nephew who years later became a writer and started poking around, seeing what else he—or I—could find. There’s something about a secret or forbidden story that has always sparked my desire to write about it. EDUARDO HALFON: I was born an immigrant. The best way to explain this is to explain my childhood, growing up in Guatemala. I was born a Jew in a completely Catholic country. All of my friends were Catholic. All of the school activities and holidays were Catholic. I was allowed to watch everything from the sidelines—their First Communions, their Christmas lights, their Holy Week processions, their annual fiambre meal on the Day of Dead—but not play along. I never gave this much thought. It was just my reality. I was an outsider looking in. An immigrant in my own country. EDUARDO HALFON: Fiction does not recreate the past, it creates it. It imagines a world as it could have been, not as it was. It doesn’t reconstruct the past—which would imply that the past was at one point intact—but takes a few bits and pieces from the past and builds a new present. The phoenix from its ashes. A scion from a dead oak. A story which only appears to be about a sister’s ultraorthodox wedding in Jerusalem, but is really about something else, something much more personal and intangible and hidden within the thick, damp walls of a monastery. EDUARDO HALFON: To say that I live in exile sounds pretentious. I am not being persecuted by any religious group or fascist country, that I know of. I can come and go freely, with one of my two passports. Then why do I feel like I live in constant exile? Exiled from what? From a homeland? From a city I could finally call my own? From a house where I could live for more than five years? Is it a Jewish Diaspora thing? As I write this, I see that all of my books are still in boxes, my suitcase is nearby. EDUARDO HALFON: As a kid, I’d ask my Polish grandfather about the five digits tattooed on his left forearm, and he would tell me that it was his phone number, that he’d had it tattooed there so he wouldn’t forget it. Since he arrived in Guatemala after the war, after spending six years in concentration camps, he refused to speak about his experience. He kept silent for sixty years. Until the day he told me about growing up in Lodz, and arriving at Sachsenhausen, and being saved by a boxer at Auschwitz. Slowly, book by book, I’m giving voice to his silence. EDUARDO HALFON: My wife’s father died two months ago, after years of battling cancer. I’ve been thinking a lot about him lately. He was a beautiful, kind man, and with his death we also lost something else, something I can’t quite name or even understand yet. I’ve noticed that my wife’s grief for her father isn’t general, but always sparked by very small, precise things. Coming across his wristwatch. Noticing that, since the day of his death, she hasn’t ripped off any more pages from the Japanese tear-off calendar in her office. As if his death, his leaving her, had stopped time. EDUARDO HALFON: The title of my new book, in Spanish, is Duelo. But that word, in Spanish, has three meanings. Duelo as in duel or combat. Duelo as in mourning. Duelo as in pain. The three meanings are critical in the book; they’re three of its major themes. But since there’s no one word in English that encompasses all three meanings, we had to pick one. And finally we went with Mourning. I’m still a bit saddened that English readers will miss out on the other two meanings of the title in Spanish, which quite literally got lost in the translation process. EDUARDO HALFON: I don’t travel well. My anxiety starts two days before leaving. I can get airsick on the plane, especially if I don’t have a window seat. I always travel with enough tools—masking tape, duct tape, a Swiss Army knife, black plastic trash bags—to cover up the hotel-room windows, any annoying flickering lights, small crevices under the doors. From the moment I leave, I’m already counting the days till I can come back home, to the safety of my routine and a completely dark bedroom. Fortunately, when I write, I know the difference between a trip and a voyage. EDUARDO HALFON: Part of a writer’s craft is learning to deal with memory. But not memory as a fixed thing; not memory as something that needs to be investigated, like a historian would do. For me, memory is only a jumping-off point. A glimpse of a fragment of a picture from which I can then imagine and create the rest. But it’s a picture that never existed, or that only started existing through my stories. Stories that are both intimate and universal. Or stories that are universal because they feel intimate. And they feel intimate because they began as a specific memory. EDUARDO HALFON: I’m told by academics that identity is one of the main themes in my books. I have no idea what that means, of course. I don’t sit down and ponder how to write about a subject so frigid, so sterile. I just write stories about a guy who looks a lot like me, and has a biography very similar to mine, and even shares my name. But he isn’t me. He smokes—I don’t. He travels frequently and well—I don’t. He seems to be searching for something profound and much larger than himself—I’m content when the Yankees win.